The setup is that .NET WebAPI resides in Visual Studio Project ( .sln. .csproj) and Angular Project is separate in another folder. Usually you will not need to set CORS in .NET Core if you plan to deliver Angular and .NET Core in the same site. 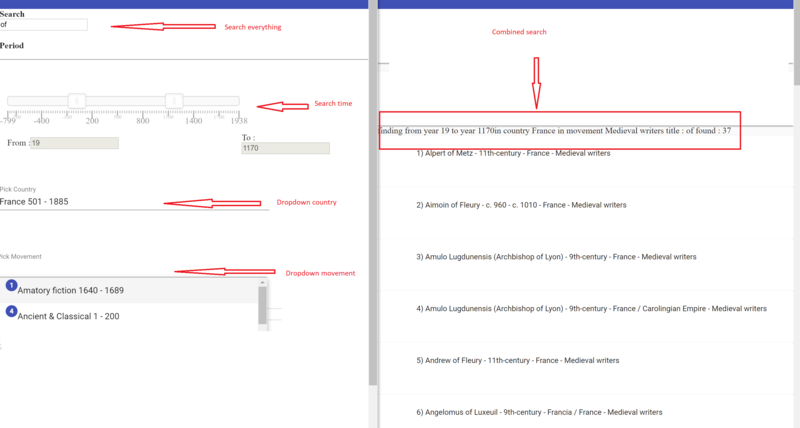 How transform this unstrcutured data to make an application that search like in the picture below ( just the R from CRUD )? Hours or work ~ 20 . And hey, it works! I was thinking that delivering paginating data is kind of lame. Why should I , for seeing the whole data, should keep pressing next page / or scrolling down ? I understand that on the server it is necessary to do this – but on the client ? And I was thinking – what about Observables in Angular , combined with SignalR ? Those observables could obtain data every time – and SignalR is pushing cotinously, until it arrives at the end of the data. _ = WriteItems(channel.Writer, name); //it not awaits! When creating a template with Windows authentication, the settings to enable Windows authentication in launchSettings.json are not applied.